Hi beauties! Today I have for you a beautiful Makeup Revolution Ultra Blush Palette in All About Pink (£6.00). I love the packaging their products are in and you might think its not that special, but I like the simple black compact. It feels like it has a good quality and is sleek. 2 of the blushes are more to shimmery side, which you can see for yourself on the pictures below. Both of the highlighters are shimmery, so I always use a light hand when applying these. The formula of the powders in this palette feel very creamy and buttery to the touch. Also its easy to blend the blushes out, even when I have applied bit too much. As you can see all the blushes and the highlighters are richly pigmented. Even though in the picture below the first blush doesn't look so pigmented, but it is. Its a very light peachy shade. I like to wear these blushes on top of a cream blush, that way it sets my cream blush and everything stays on all day. Otherwise I feel like I need to do a touch up through out the day. Some of the shades I have been wearing more then the others. I have been loving the first blush from the first row and also the highlighter from the second row is more wearable for me. The first highlighter is bit too metallic for my taste. It would make a beautiful highlight in the inner corner of the eye. Its great value and there is so many shades to choose from. I like a pink blush and it has everything I could want with me when traveling :) I'm happy with this palette from Makeup Revolution and can't wait to try more from the brand. If you are interested in this lovely palette, you can find it here. I love makeup revolution make up :) great buy! the second one to the left sure is my shade! 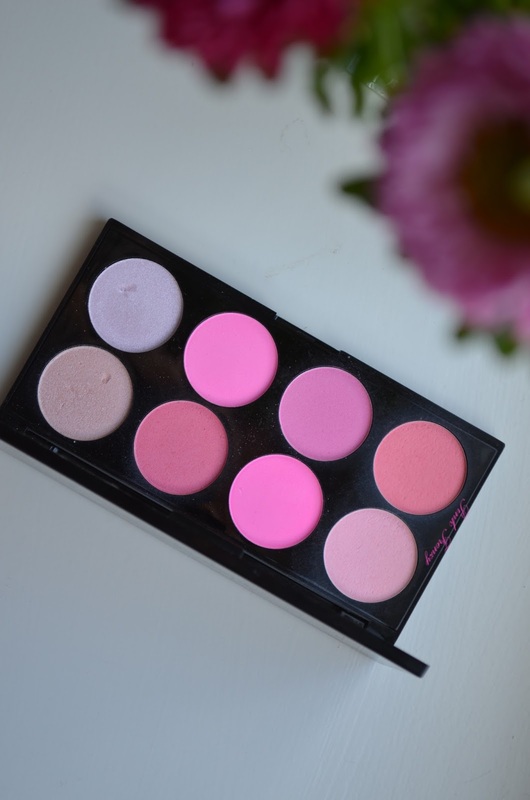 What a great blush palette! Love that it has a high light in it too.